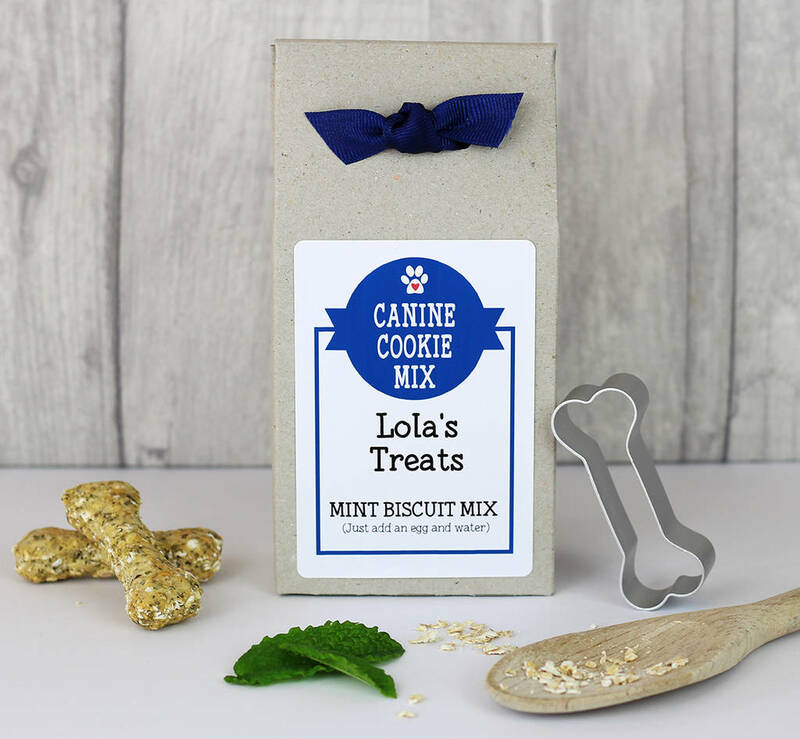 This personalised "bake your own" dog treat mix, in a personalised box, with a metal bone shaped cookie cutter, is an ideal doggy gift. This all natural dog biscuit baking mix is the perfect way to show your dog how much they are loved or as a gift for your dog's friends. 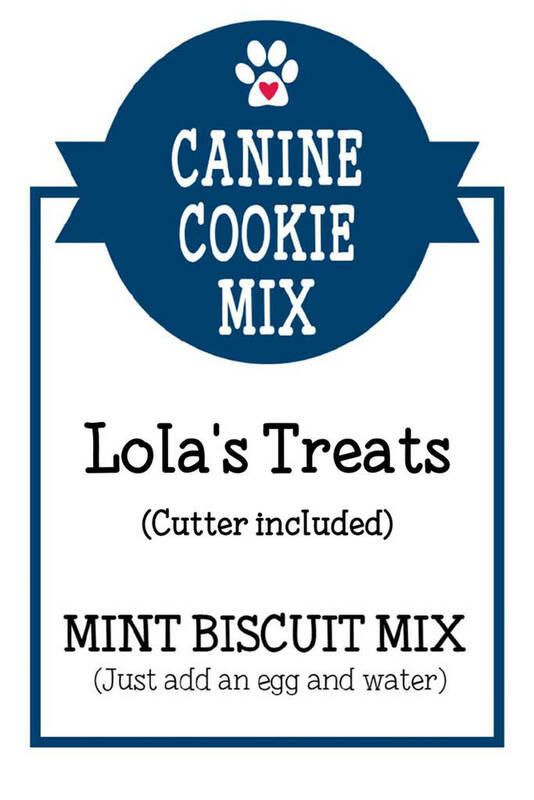 Please add your dog's name or a short message to the box label. Eg: Max's Treats. 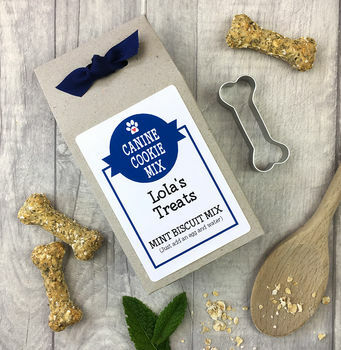 With the exception of the biscuit mix title, the wording on the box label will be as you have typed in the personalisation box. Made from high quality human grade ingredients. No artificial colours, flavours or preservatives. No added sugar or salt. Mix: 138g, makes approx 18 biscuits. 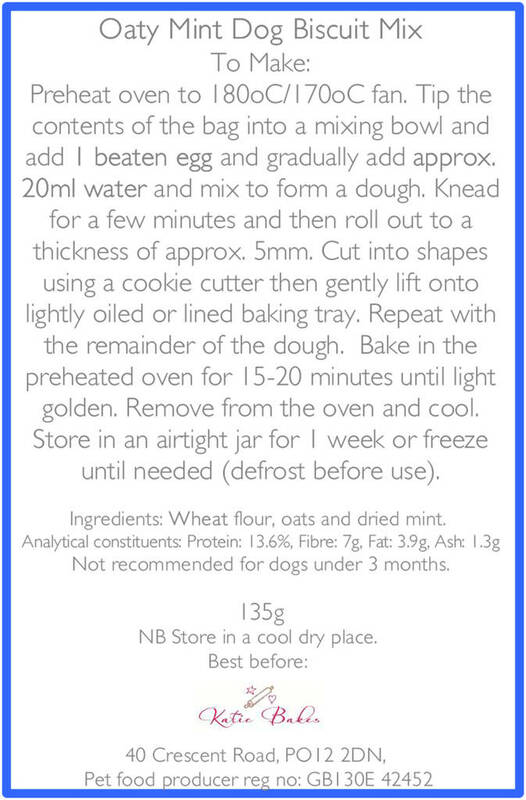 Makes 18 dog biscuits using the enclosed cutter.